Baluku Joseph is a farmer in Western Uganda. He uses his land to produce food. This includes cultivating crops and rearing livestock. The farmers in that area run arable farms, dairy farms and mixed farms. However there is a problem…..Joseph is unable to borrow money to develop his farms. This means they struggle with being able to buy the best seed, the best fertilisers, the best animal feeds and they are unable to invest in even the most rudimentary irrigation schemes. Sometimes Joseph has not even had enough money to plant any seed meaning his land remains uncultivated. The farms are very small, and so farmers cannot afford to buy any equipment to help them farm more efficiently. This reduces their yields and keeps them in a cycle of poverty. 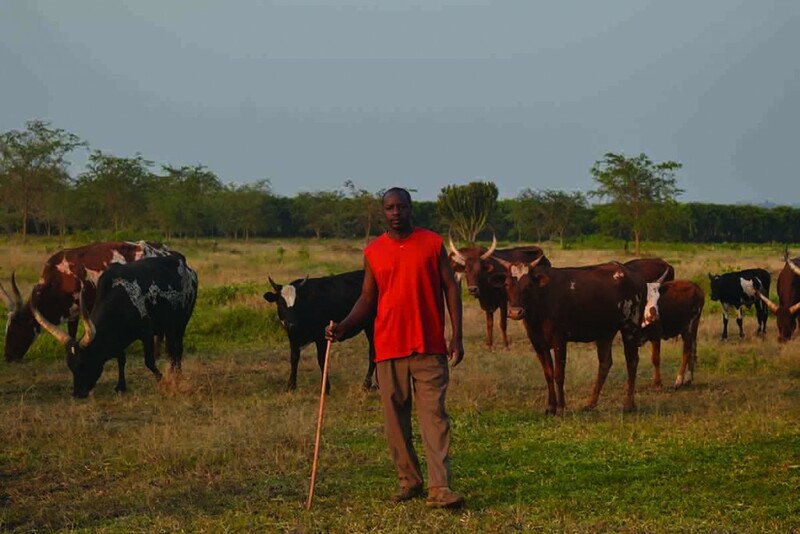 We work with groups of farmers like Joseph, we work alongside them, and we provide the best seeds, the best fertiliser, the irrigation scheme and animal feeds on credit. This dramatically increases their yields and frees them from the cycle of poverty. The farmers pay us back the capital we invested, and so we have the funds to invest in other farms, slowly lifting thousands of farmers out of the cycle of poverty. This is a new and innovative approach which works as we know from our trials. It is in the farmers interest to make it work, so they can pay back their loan. It is in our interest to make it work, so we get a return on our capital, so we can help more farmers. Through our new approach we give farmers, their families and their communities a better life by providing them with the skills and the resources they need. We also know many people share our passion to help take subsistence farmers out of the poverty cycle and help them increase food production. So we also provide the opportunity for you to partner with us. The more money we have, the more we can lend to farmers, who pay us back at harvest, so we can recycle the money again and again helping to raise Ugandan farmers out of the cycle of poverty one farm at a time. As our farmers are paying back our investment it is in their best interest to make it work. This is a huge contrast to the traditional aid model, which tends to leave a legacy of expensive projects which are unsustainable. Our vision is simple – to leave strong sustainable businesses as our legacy. We do not run the farmers businesses, they do. What we do is to make the impossible happen. We finance simple things. Better seed. Fertiliser. Irrigation schemes. Water troughs for cows.